Traditional Italian Country House for sale in Piemonte. 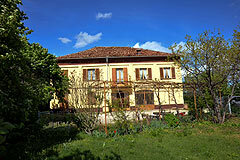 Santo Stefano Belbo Langhe Hills (ref: 6776)- Beautiful Langhe style home requiring restoration. Excellent renovation project. The property also has it's own vineyard. Piedmont Properties in Piemonte. Property for sale Langhe and Piemonte.